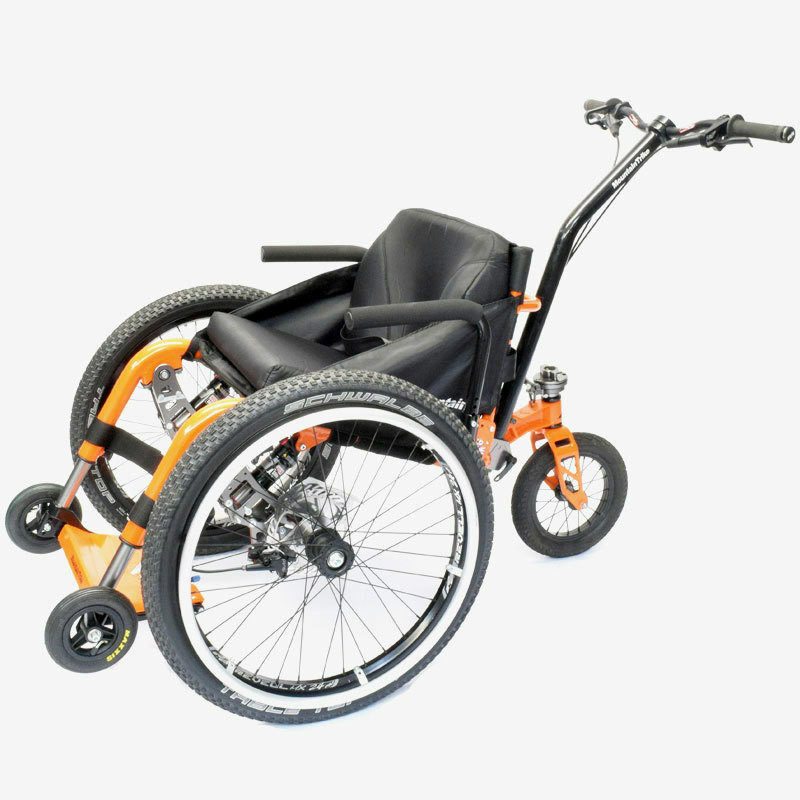 Our Trike range have been built using a modular system so that our customers can adapt their Trike to suit their abilities should their circumstances change at any time in the future, without having to invest in a completely new Trike. Please see each individual model for adaptations available. Please wait, this should only take a few seconds. 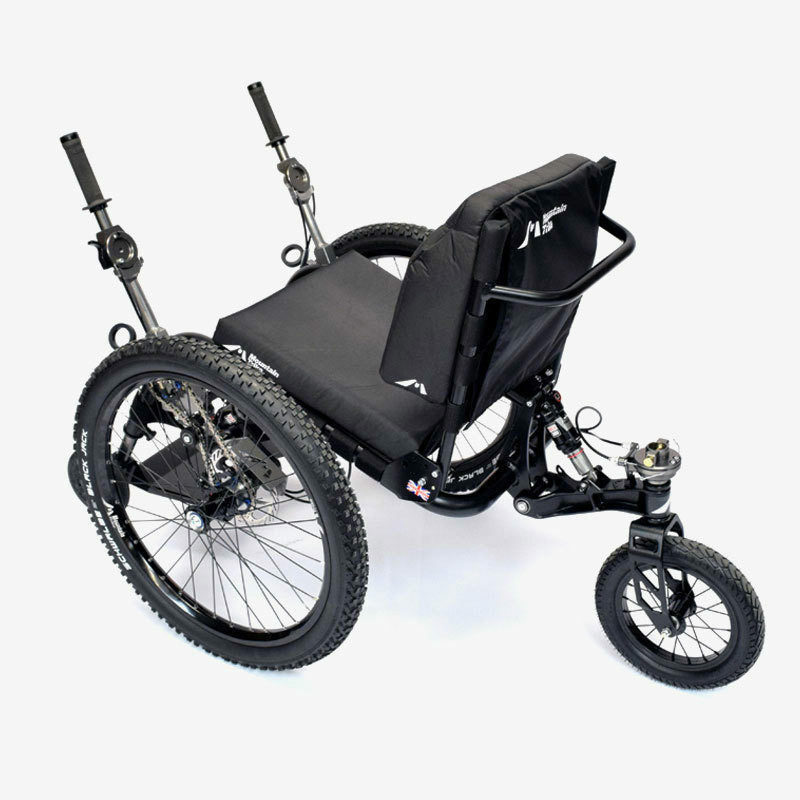 Our latest model the eTrike - an electric assist all terrain wheelchair. 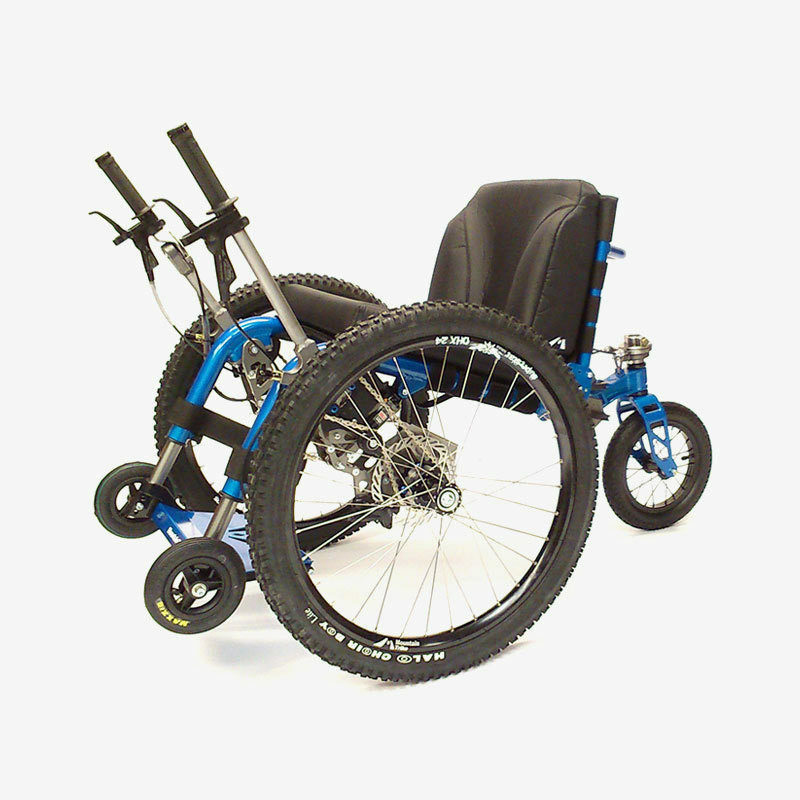 Perfect for those who would like some assistance to travel off road or active users who want to go further, faster or tackle more challenging terrain. Remove Drive Lever System. Fit Push Handle, Armrest & push rims. This will then convert the eTrike into a MT Push. Please email us for further information and costs. 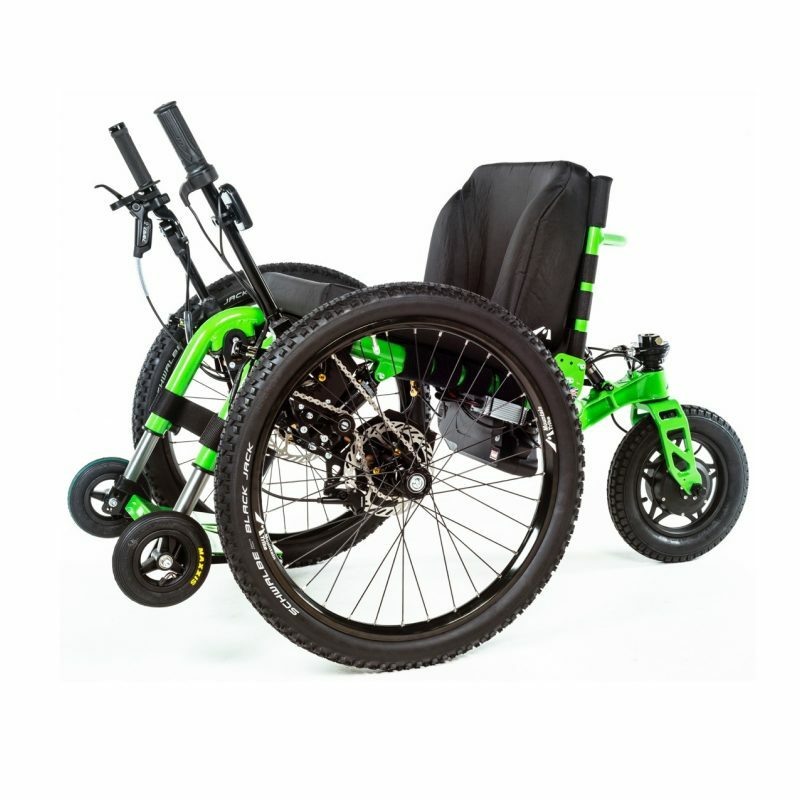 The Mountain Trike is our flagship Trike - all-terrain, self-propelled, sleek, versatile and available in any colour. Remove Drive Lever System. Fit Push Handle, Armrest & push rims. This will then convert the self propel Trike into an MT Push Trike. Remove Drive Lever System. Fit Push Handle, Armrest & push rims. This will then convert into an MT Push Trike. Please email us for further information and costs. MT Push is our buddy chair and provides inclusive access as it has the ability to push over a wide variety of terrain. Add Drive Leave System. This will then convert into a lever Trike.